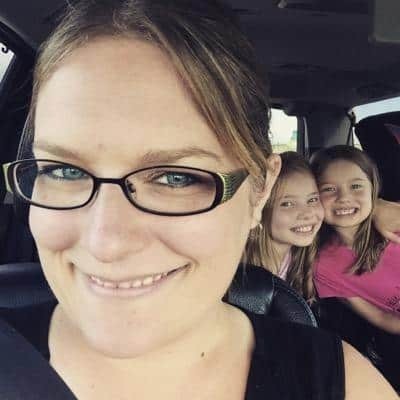 I’m Jody Arsenault, Founder and Chief Editor of the Canadian blog MommyMoment.ca. My name is Jody Arsenault and I’ve always been the girl who likes to encourage others. With 2 young daughters, I wanted more than anything to be able to work from home. Using my passion for encouraging others and my background in Montessori education, Mommy Moment was started in the Spring of 2010. I began sharing fun craft ideas and content with the hope to give women a place to be inspired! Mommy Moment has grown through the years and has become a reliable site to find easy craft ideas, recipes, product reviews and inspiration for busy moms and dads, women and even grandparents from around the globe. Mommy Moment has a highly engaged readership and consistently reaches millions of people every week on Facebook – not to mention our other social channels on Twitter and Pinterest and on my personal Instagram account. We have been published in Canadian Living, Canadian Family, Shaw TV, Breakfast Television, radio and other various other mediums. Check out the online buzz. More than anything I love spending time with my family. Whether it is playing games, visiting attractions, cooking together or even camping out in the backyard, I find the biggest joys come from the simplest things. Angela – Angela is my right-hand woman. She helps with product reviews, sponsored content and administrative work. She is a happily married mom to a girl and a boy. Megan – In high school Megan contributed fabulous nail art content. Now Megan is in post-secondary school and we could not be more pleased to have her as a new recipe contributor on Mommy Moment. You are going to fall in love with her delicious desserts.